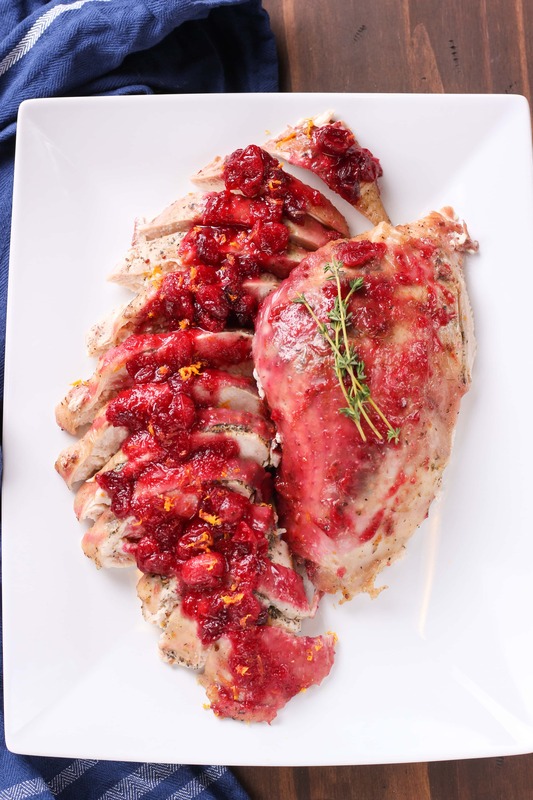 Making your Thanksgiving turkey doesn’t get much easier than this Slow Cooker Cranberry Orange Turkey Breast! Just a little prep work delivers a flavorful, juicy turkey breast that’s easy enough to make all year long! 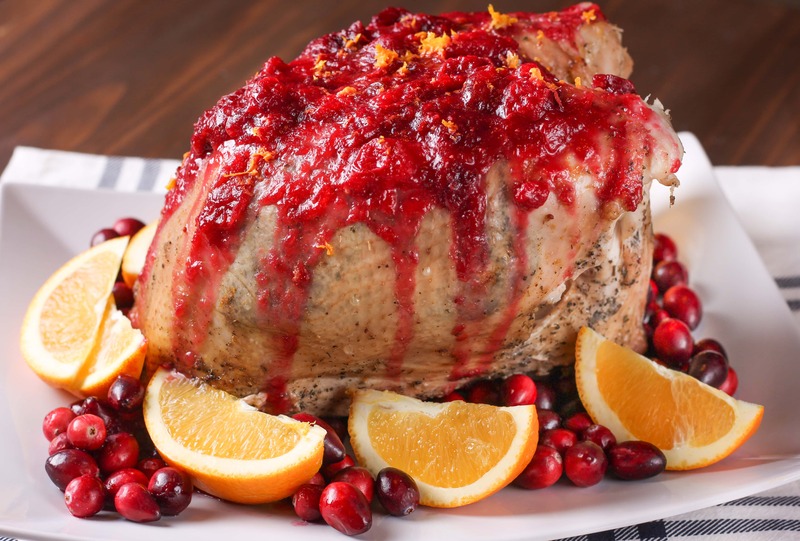 This recipe is made in partnership with the Minnesota Turkey Growers Association. As always, all opinions are my own. How’s your Thanksgiving menu coming? 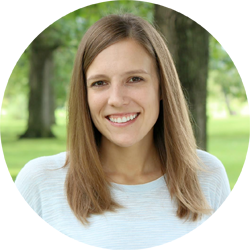 If you’re been reading this blog for a couple of years, you know that each year my husband and I have our own Thanksgiving dinner together that we plan and prepare on a day close to Thanksgiving. I love searching for new recipes to try each year. Since it’s just the two of us, we look for recipes that can easily be pared down or that only make a small amount to begin with! While I have made a small turkey for our Thanksgiving before, we definitely don’t need that much meat and have been making turkey breasts more often. You guys liked the ease of this slow cooker maple herb butter turkey breast with apple cider glaze so much last year, that I got people asking me to come up with new flavor combinations. So here is one of our favorites! 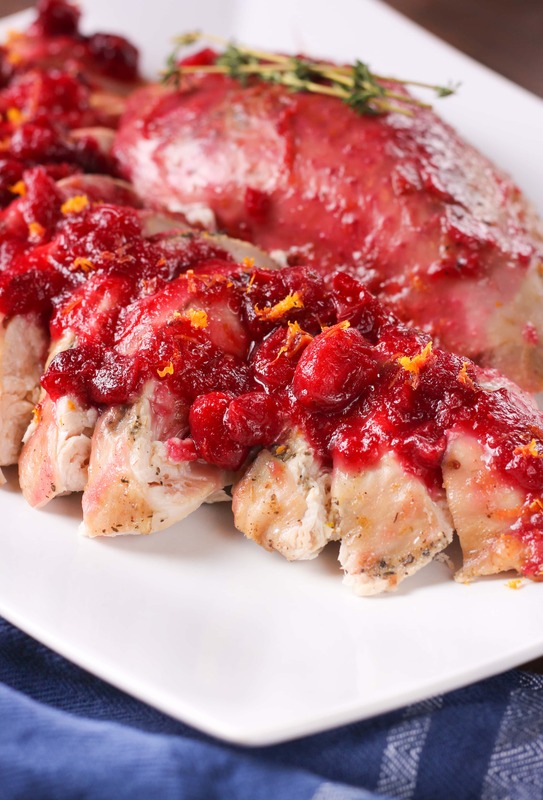 Slow cooker cranberry orange turkey breast! We’ve made it a few times now, and it is definitely going to make more appearances in our house! This year I had the privilege of traveling to meet the 2017 Presidential Turkey Flock and learn more about Minnesota turkey growers. The turkeys that will travel to the White House for pardoning are being raised right here in MN by Carl and Sharlene Wittenberg! The annual presentation of the National Thanksgiving Turkey to the President of the United States is a tradition in the nation’s capital, signaling the unofficial start of the holiday season, and this year marks the 70th anniversary of this tradition. 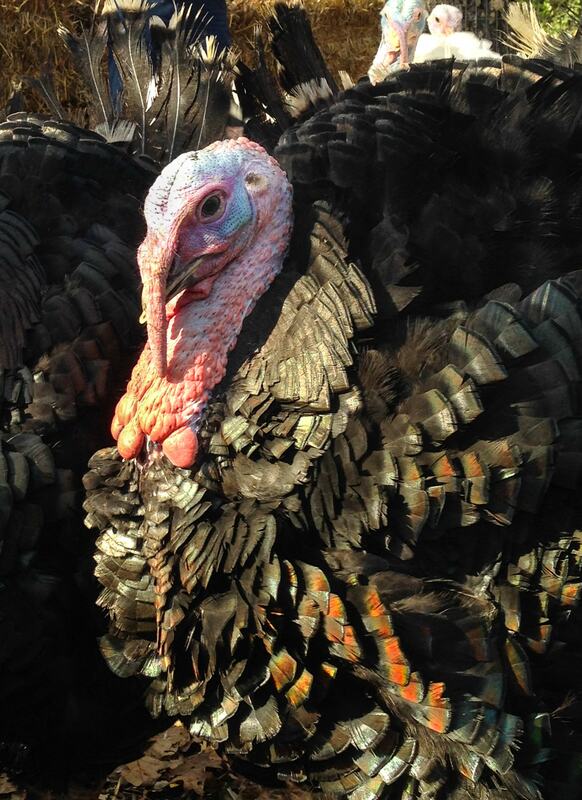 Did you know Minnesota ranks #1 nationally in turkey farming? Minnesota turkey growers provide the best care possible for their flocks to ensure that the turkeys are healthy and safe. Turkeys live in free-roaming (never in cages) barns to protect them from the weather and predators and where they always have access to fresh food and water. In fact, all turkeys in the U.S. are raised without any added growth hormones and steroids. (There are no growth hormones or steroids approved by the FDA for use in poultry.) You can meet the Minnesota turkey farmers who may produce your Thanksgiving turkey by checking out these videos. One of my favorites parts about this recipe is the homemade cranberry orange sauce. 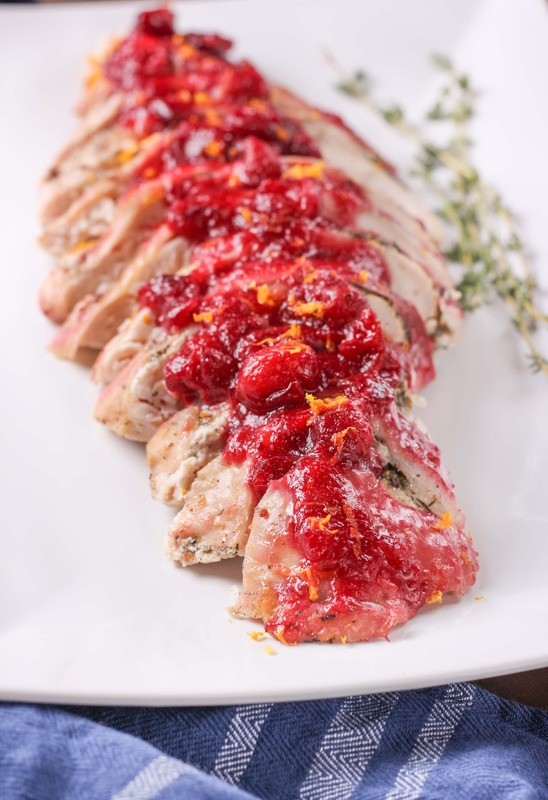 This combines with a savory herb butter to make the turkey breast juicy and full of flavor! No dry, tasteless turkey here. All it takes is proper cooking, and you can enjoy turkey the way it’s meant to taste! It’s also super easy when you can throw it in the slow cooker with minimal prep and then let the slow cooker do the work for you until you’re ready to pull it out and serve! Be sure to follow the Minnesota Turkey Growers Association on Facebook, Twitter, and Pinterest for more Thanksgiving tips and tricks! Join in on the conversation using #ServeTurkey and follow this special Minnesota turkey flock with #PresidentialTurkey! In a medium saucepan, combine cranberries, orange juice, water, brown sugar, orange zest, ginger, and cinnamon over medium-high heat. Bring to boil and reduce heat to medium-low. Allow to simmer for 15 minutes, stirring occasionally to prevent scorching. Remove from heat. In a separate small bowl, stir together softened butter, half of herb mixture, and orange zest. Spread herb butter underneath the skin of turkey breast. (You can use a spoon to get to the butter under the skin and spread it around with your hand on the top of the skin.) Sprinkle remaining herb mixture over the top. Pour chicken broth into a 6 quart slow cooker. Add onion and garlic cloves. Place turkey breast in the center of slow cooker. Set aside 1 cup of cranberry sauce. Spoon the remainder of the cranberry sauce over the top of the turkey breast. The sauce will run down the sides of the turkey breast as it cooks, so don't worry about getting sauce on the sides of the turkey right away. 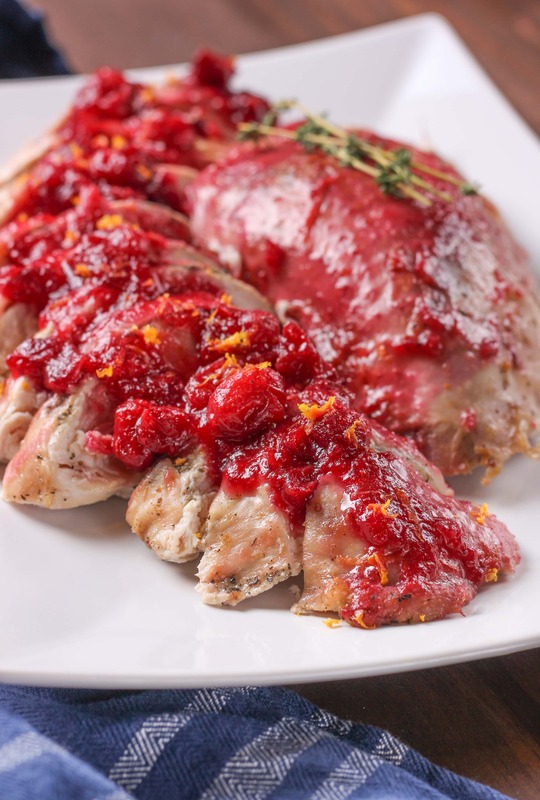 Cook for 6-8 hours on low or until internal temperature at the thickest part of the breast reaches 165 degrees F.
Allow to rest for 20 minutes before slicing into pieces and serving with the reserved cranberry sauce and additional fresh orange zest. You had me at slow cooker – Jessica this looks PHENOM! This is gorgeous! Had no idea Minnesota ranks #1 nationally in turkey farming! Wow! Cranberry and orange is such a great flavor combination. Havent tried with turkey yet. I love the idea of using a slow cooker. I’m a huge fan of cranberry sauce and this just sounds so delicious. I cannot wait to try it. Yummy. I will have to make this for an everyday meal since I already have turkey for dinner 364 days a year. I love cranberry and orange together. Love cranberry and orange together! Yum! I love cranberries! This looks so good! My goodness, this look super delicious!